You’re onto your 3rd bookkeeper in as many years and you are looking for a more stable and reliable solution. 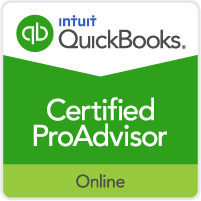 You are keeping up with QuickBooks yourself, but you’ve reached a point when your time could be better spent on higher value-added activities. Basic day-to-day bookkeeping is handled by your receptionist or office manager, but once a month, you could use some additional expertise to review QuickBooks and perform the more complex tasks. We can come to you or work remotely, as you prefer. In this day of technology, we can accomplish most tasks without ever bothering you at your office. However, we are located near the DFW Airport and able to travel to most locations within the Dallas - Fort Worth Metroplex. Setting up a new QuickBooks company file. Catching up on a few months of backlog that you may have.